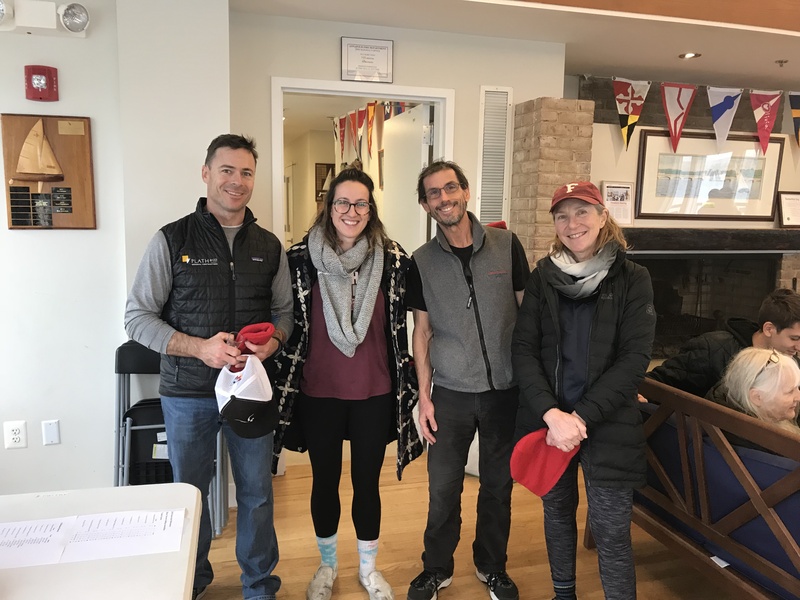 Ted Ferrarone/Meredith Killion and Danny Pletsch/Kendra Emhiser win the “First Annual” relocation of the Midwinters to Larchmont YC last weekend. 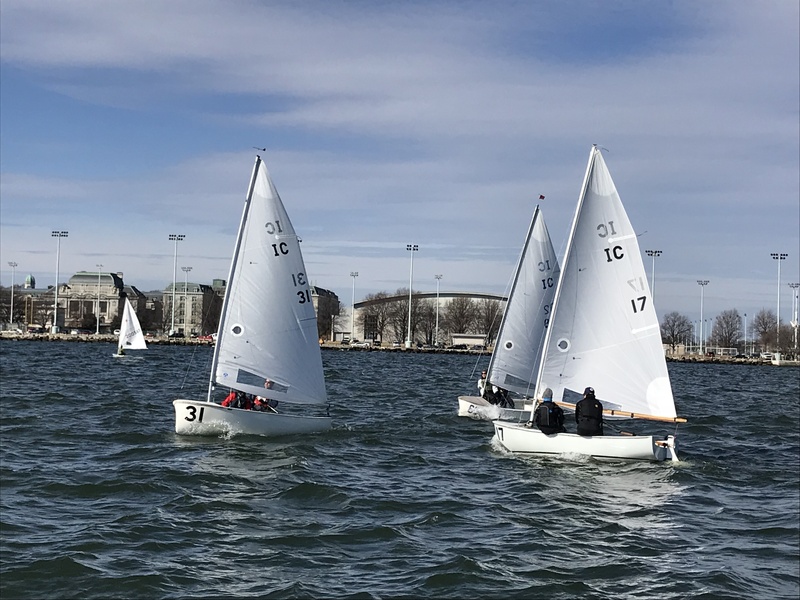 A chilly weekend, but 92 sailors came out for the regatta. 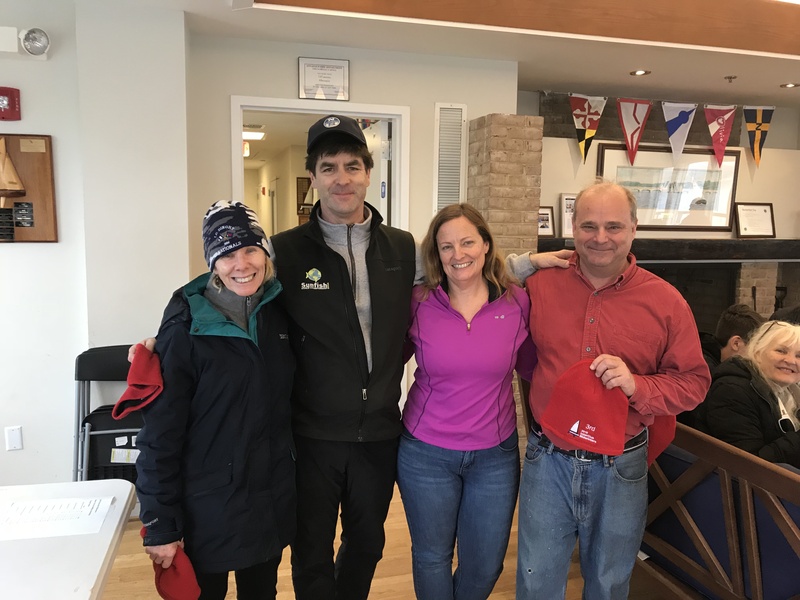 We’re all happy the Midwinters A/B style regatta tradition continues! It’s a wrap! 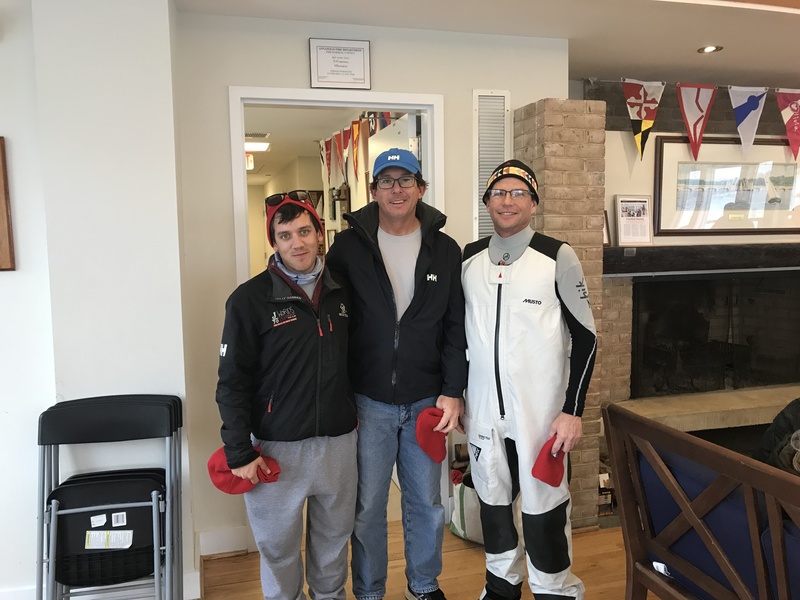 The final – for now anyway – Interclub Midwinters at SSA is done. 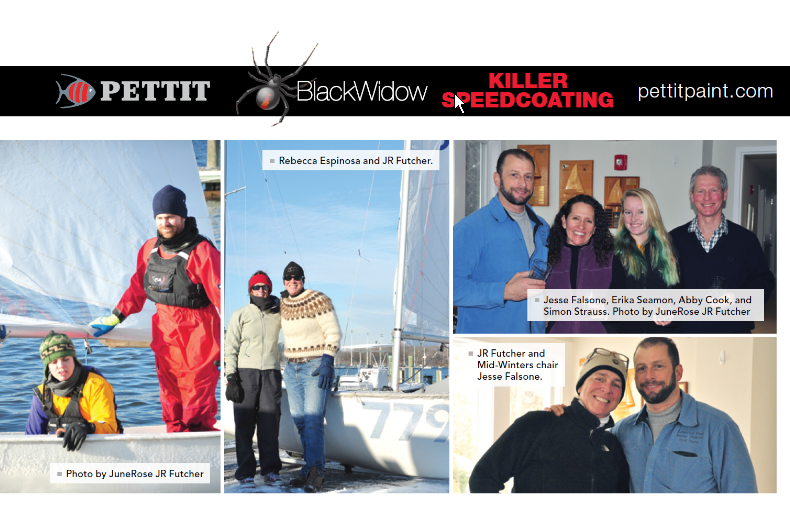 We had a beautiful day of sailing Saturday with temps in the 50s, sunshine and a shifty SE-SW breeze. We shared some great new and old Interclub Midwinters stories after dinner. Unfortunately, Sunday brought rain, thick fog and zero wind and we abandoned for the regatta at 12:30. Thanks to all that came to help us officially close out the latest incarnation of the SSA IC fleet, it was a great final hurrah. Many thanks to Jesse Falsone for keeping the torch lit all these years and – as Jonathan Lange put it – carrying the rest of us along, sometimes against our will. 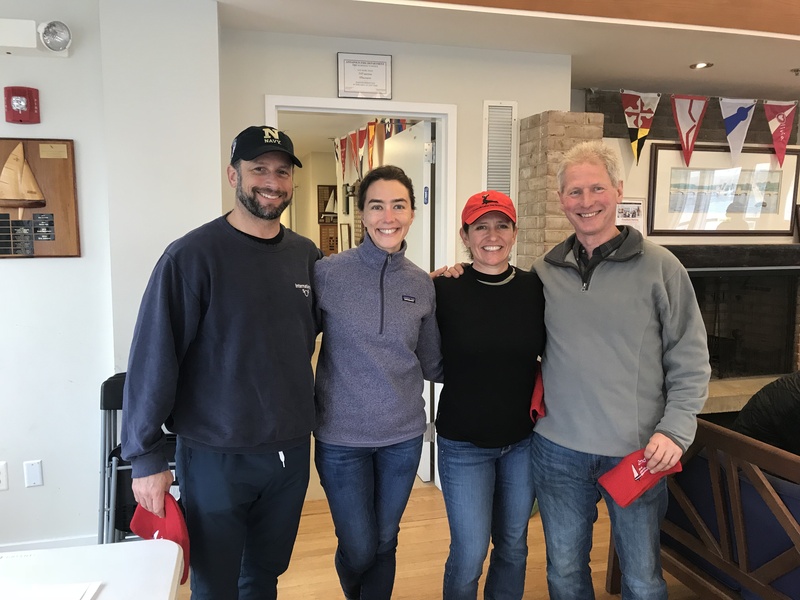 Congratulations to the winning team of Steve Benjamin/Trevor Davis and Jim Bowers/Lydia Brown for a consistent regatta to edge out the team of Simon Strauss/Julie Lelek and Jesse Falsone/Erika Seamon by 3 points. 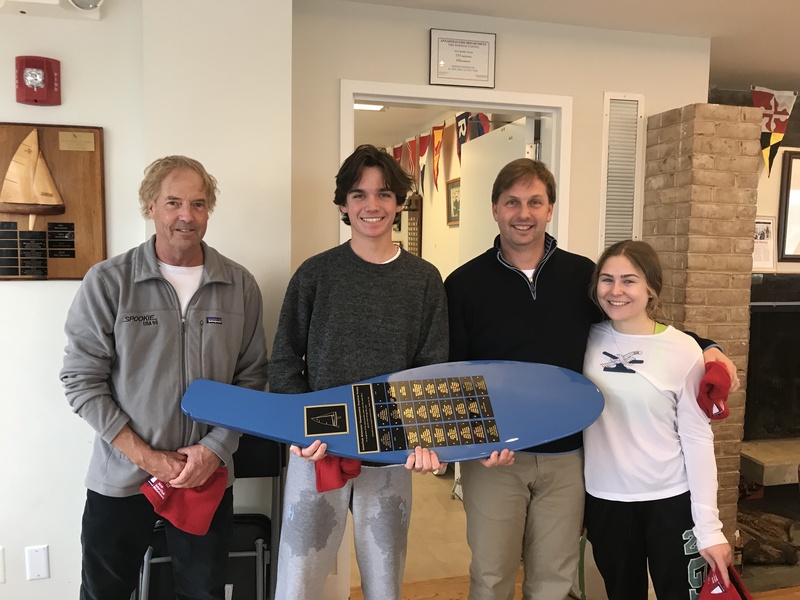 The 2018 Interclub Midwinters will be held at SSA on January 27-28, 2018. This will be THE BIG ONE as we no longer have an active fleet and want to have one last big blowout regatta and party a la an Irish Wake. This is the standard A/B collegiate style regatta we have always run. There is only a nominal fee of $20 per division ($40/team) that includes the racing, dinner and party. We want all the old regulars to come and celebrate this regatta with us. See the Midwinters NOR for additional details. 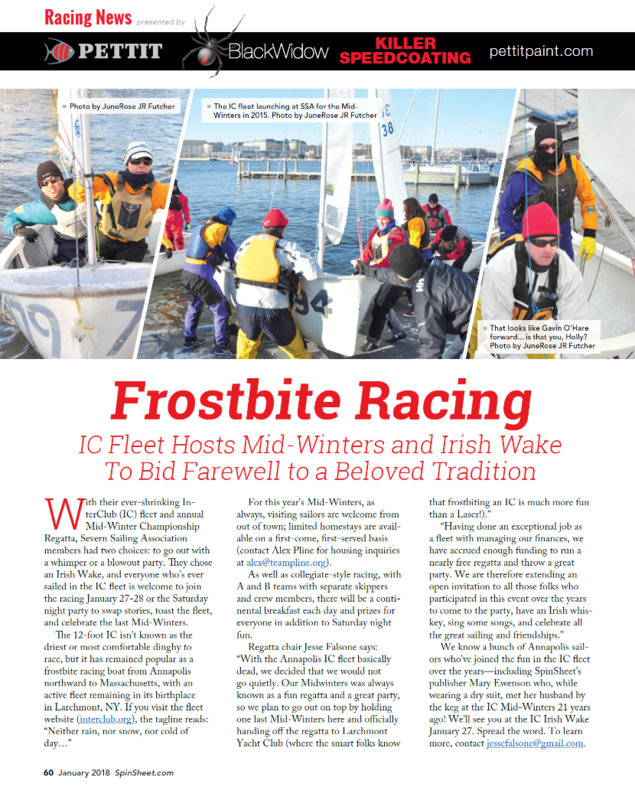 We look forward to seeing everyone in January with some great frostbiting weather! Update: Blizzard Jonas was indeed a massive storm setting a record 30 inches of snow and 50 knot winds on the bay with a travel ban on local and state roads Saturday and Sunday, so this was without a doubt the right call. Instead of the regatta, enjoy a trip around downtown Annapolis in the snow as the eye of the storm passed on Saturday. 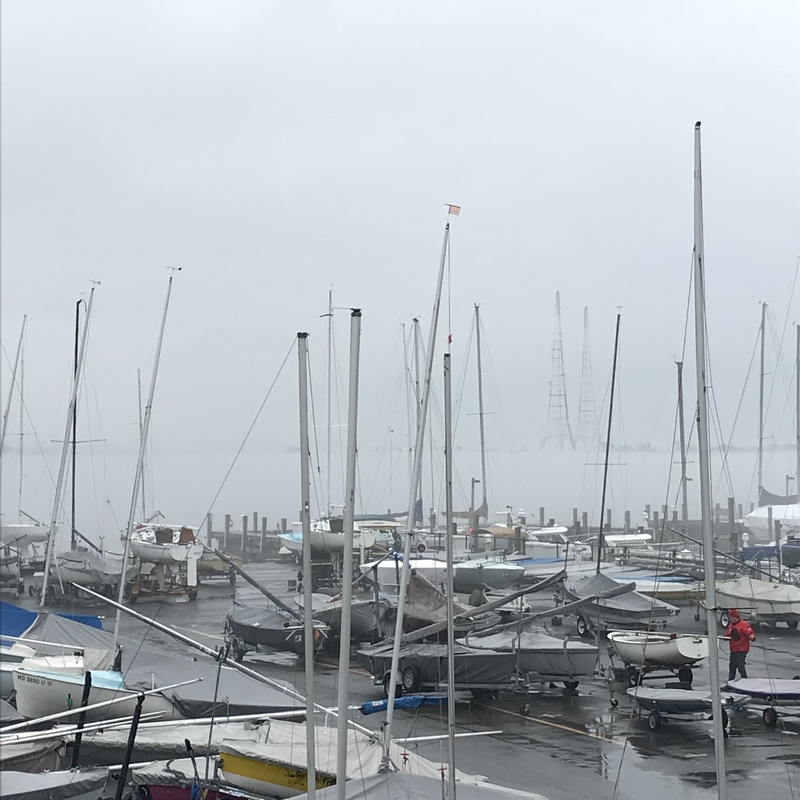 Original Post: The Nor’easter weather situation for this coming weekend’s regatta has not improved and may have gotten worse if considering sailing conditions on both weekend days. Traveling to and from the event will be hazardous and the prognosis for sailing is poor. Therefore, we regret that the IC Midwinters will be canceled this year. Many thanks to everyone who has continually supported this event in the past and those planning on coming this year.